Clearly the leader of the Labour Party has drawn attention because of his supposed radical leanings and association with the Palestinians causes that seek an end to the state of Israel. 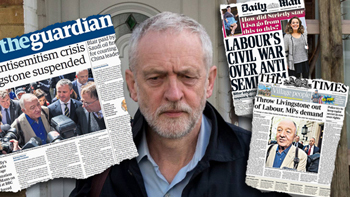 How can we unpick the anti-Semitic views from opposition to the state of Israel or some of its policies and is that what this recent furore is all about? â€˜Yes, there is a continuing problemâ€™, said Corbyn last week. But what does the word â€˜problemâ€™ imply?